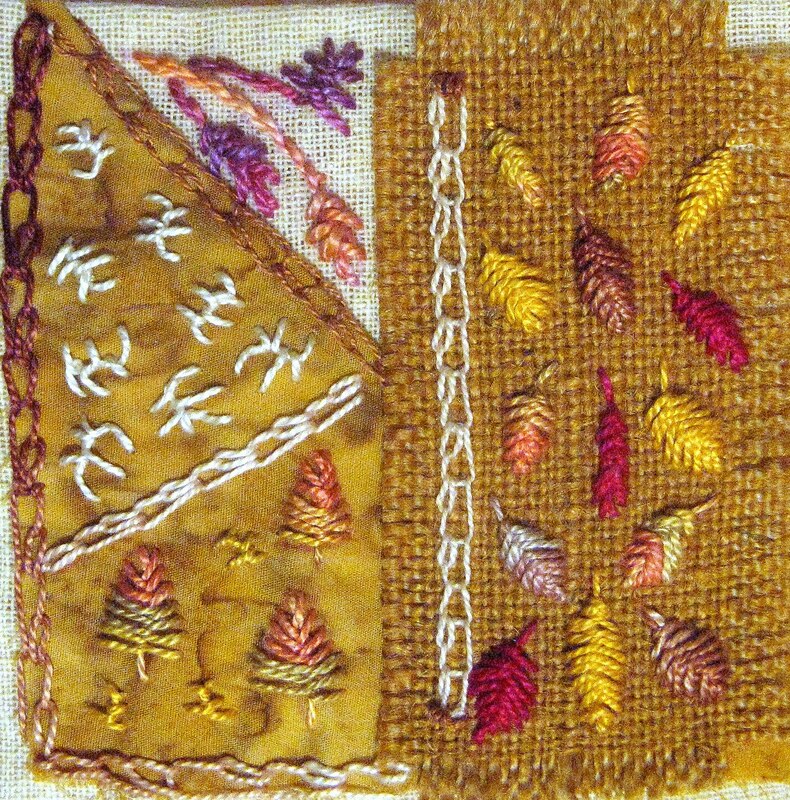 A patchwork block stitch sampler. As my arm continues to be painful I can only stitch in short spells so this has taken several days. I enjoy setting up a small patchwork block, choosing threads - these are Perle 5 & 8 - and letting a design develop. 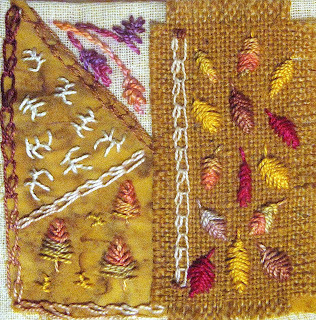 The fabrics are a scrim base with cotton and hessian patches. I'm catching up on TAST now, just a couple to get to this week's stitch.